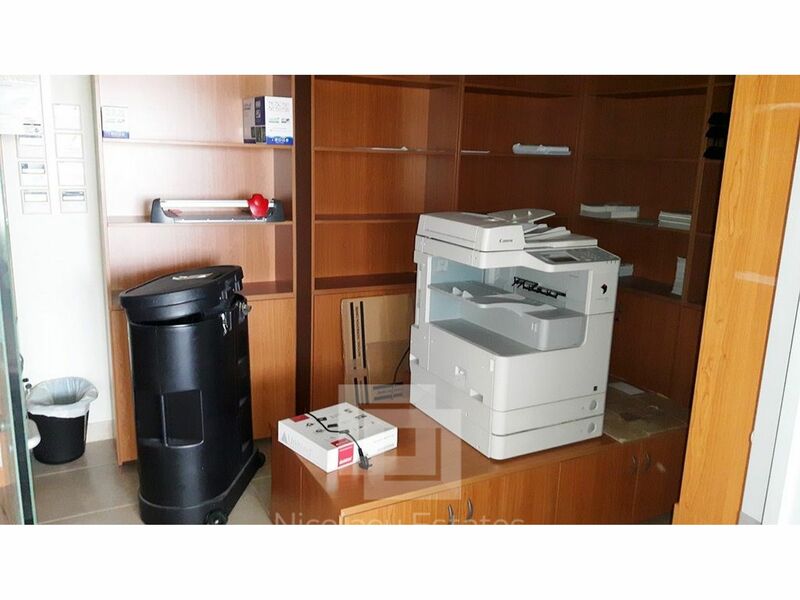 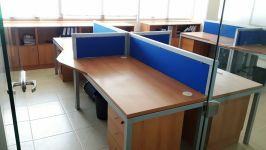 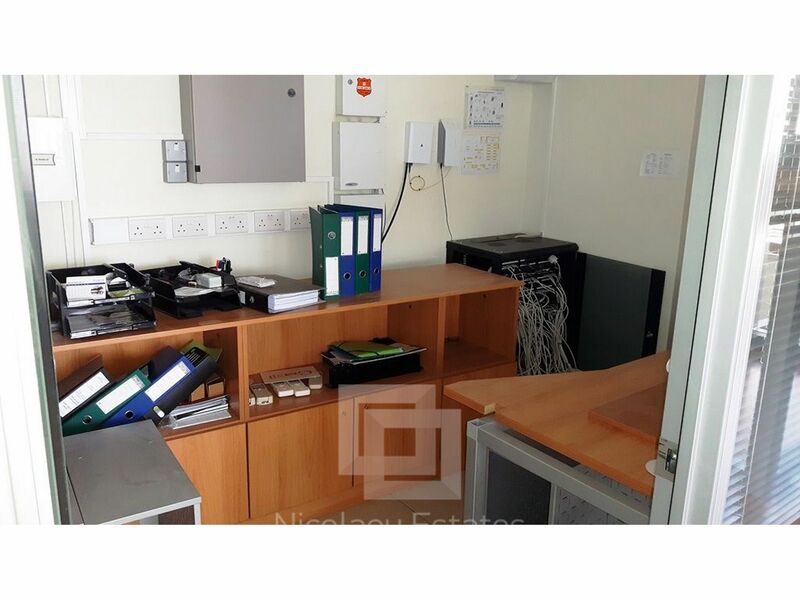 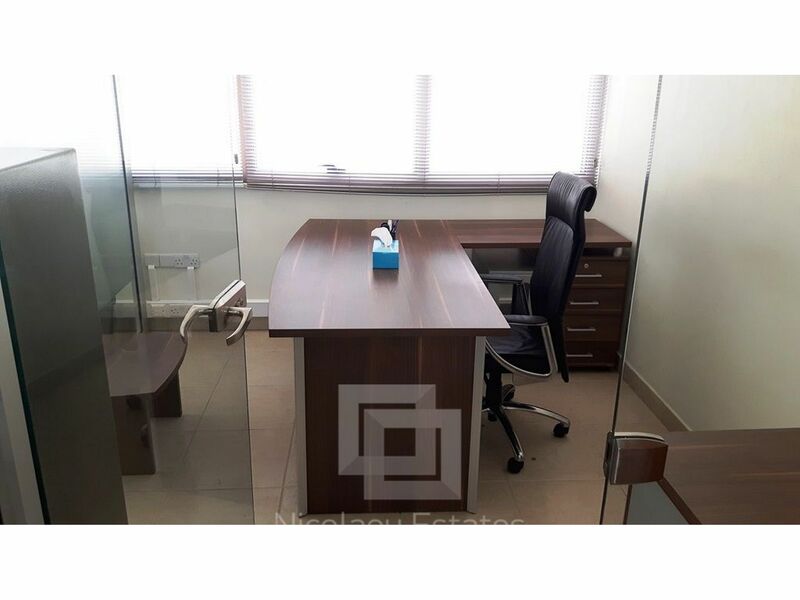 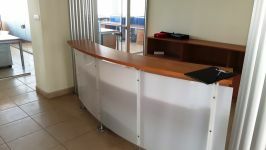 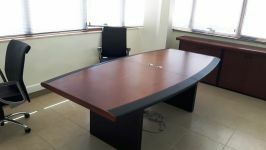 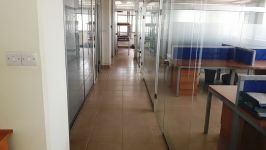 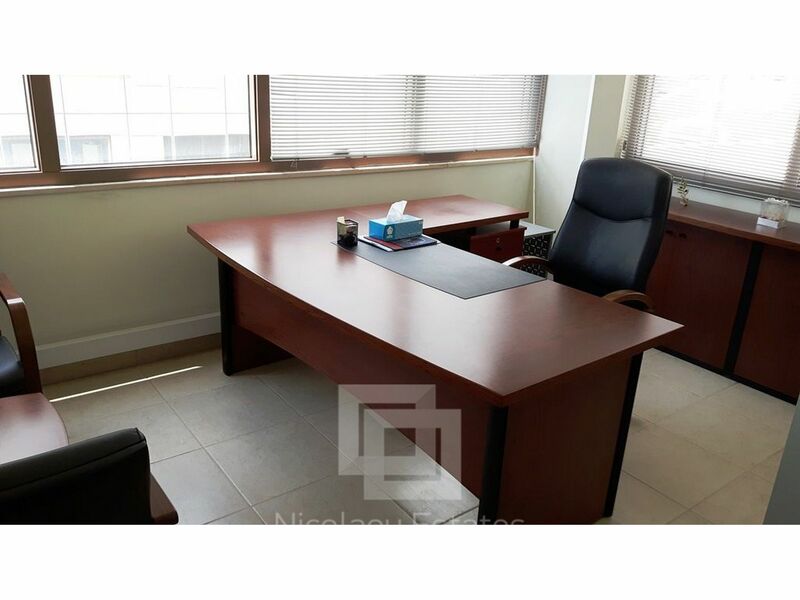 This is a furnished office on a very popular commercial avenue. 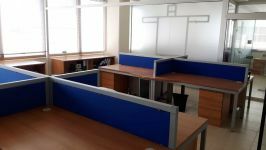 The covered area is 275m2 and it consists of eight separated offices, reception area, conference room, server room, kitchen, and 3 WC. 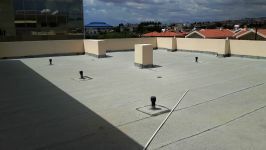 It includes structure cabling, VRV system throughout, internet connections, alarm system, blinds, double glazed windows , and four uncovered parking spaces. 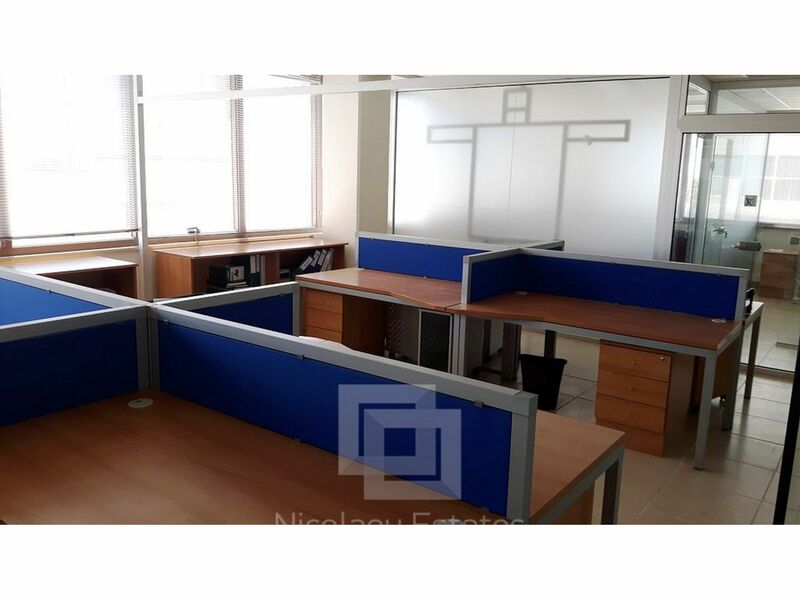 The office can easily fit 30 people. 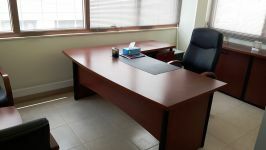 This is an excellent opportunity for any kind of business! 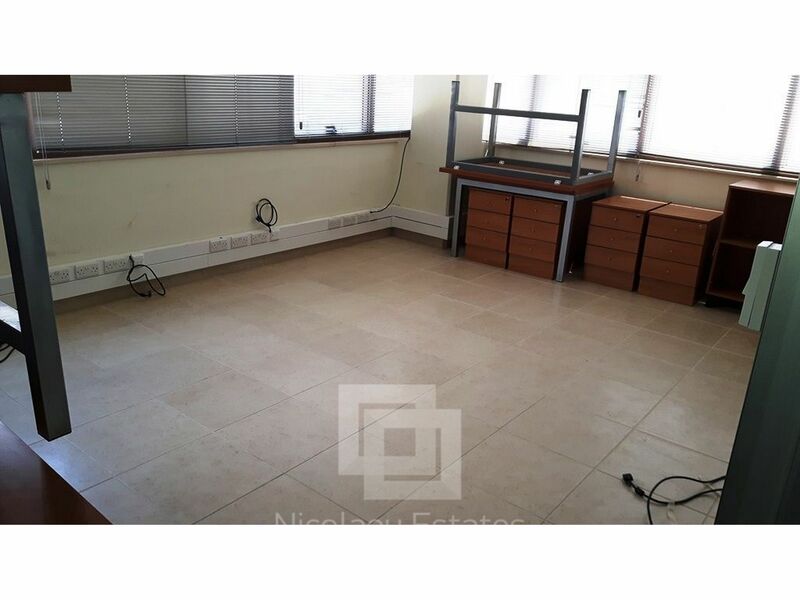 The rent price is €4500 and there is no common expenses. 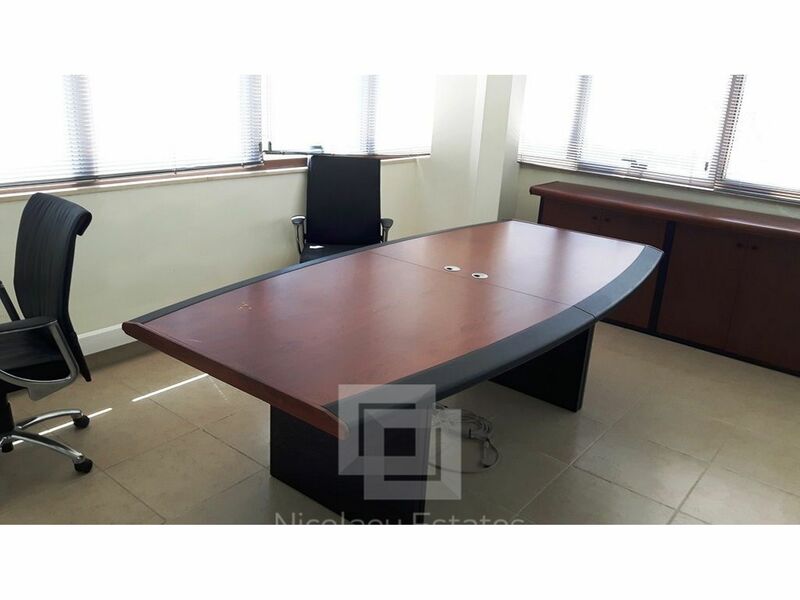 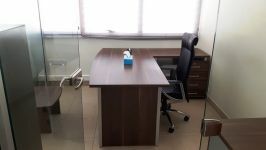 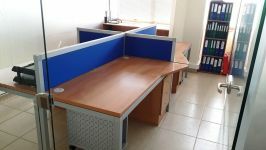 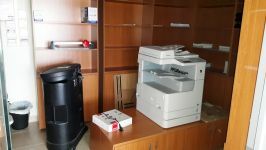 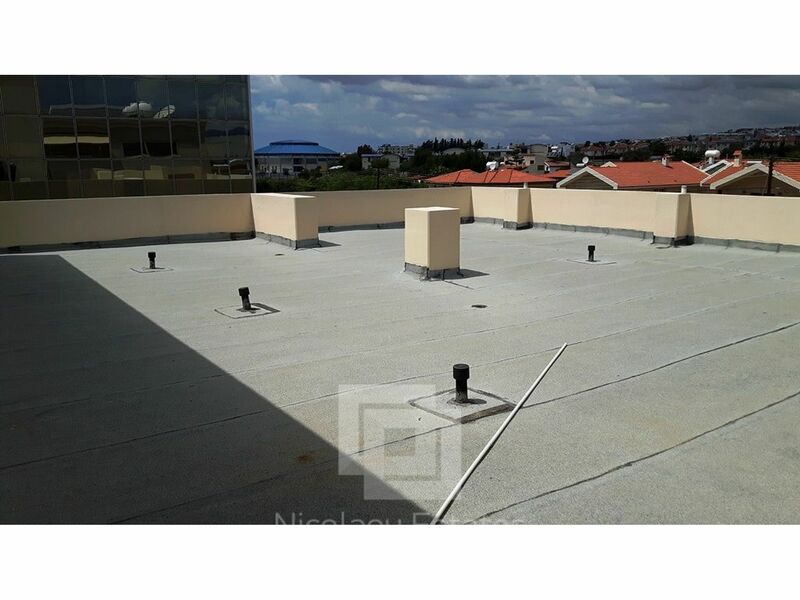 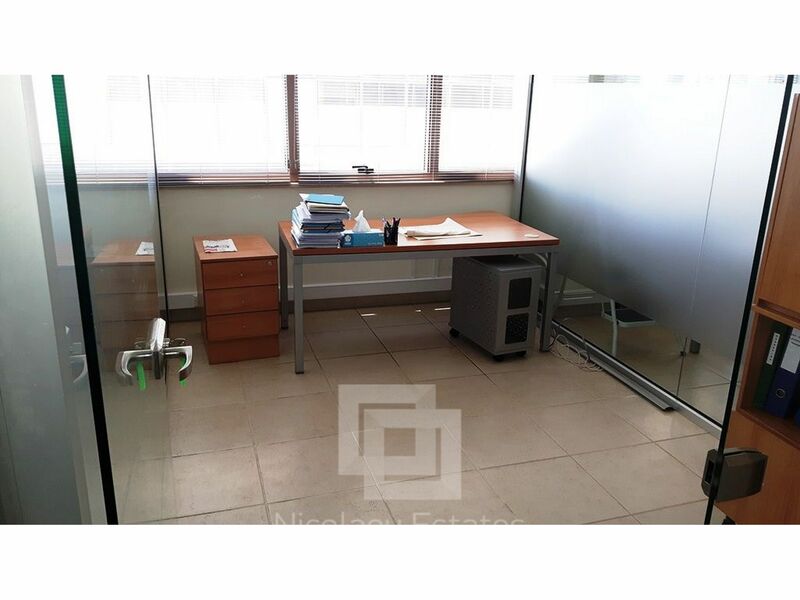 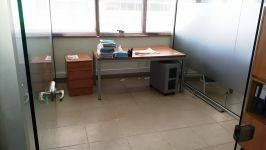 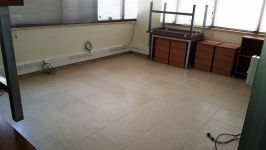 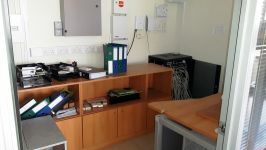 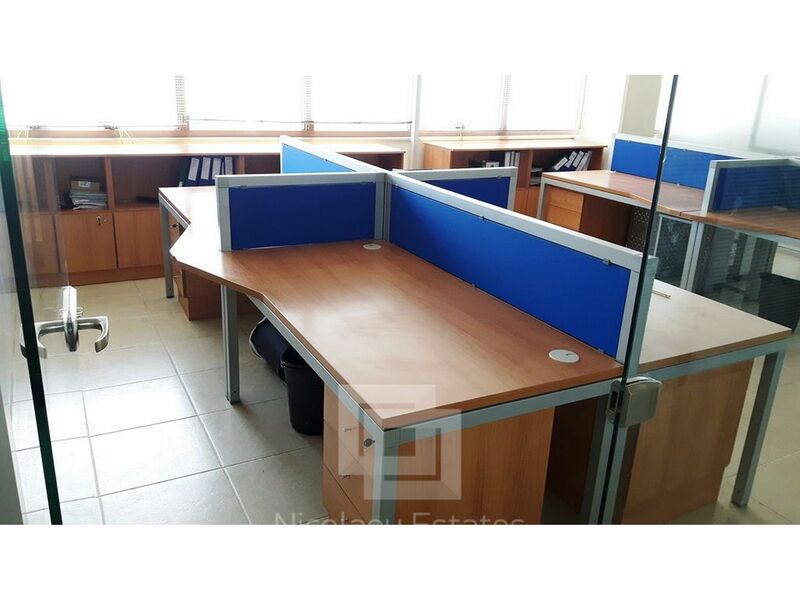 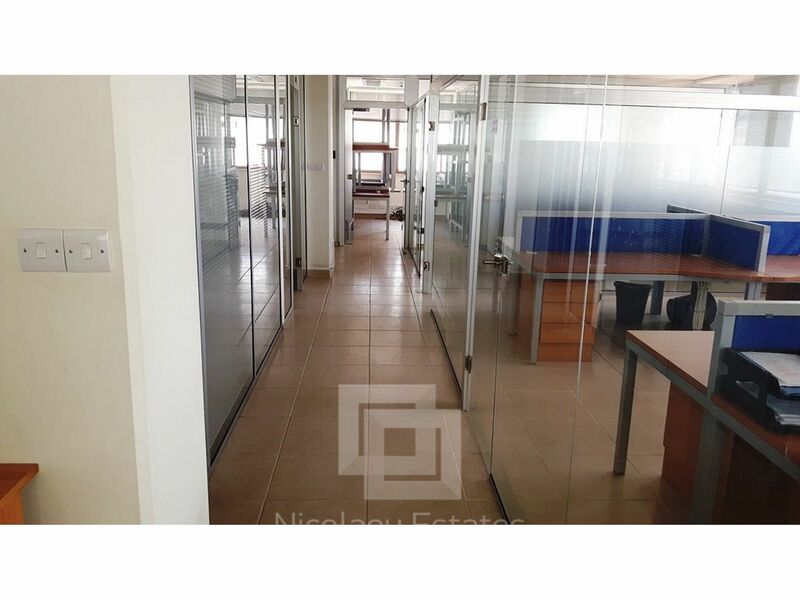 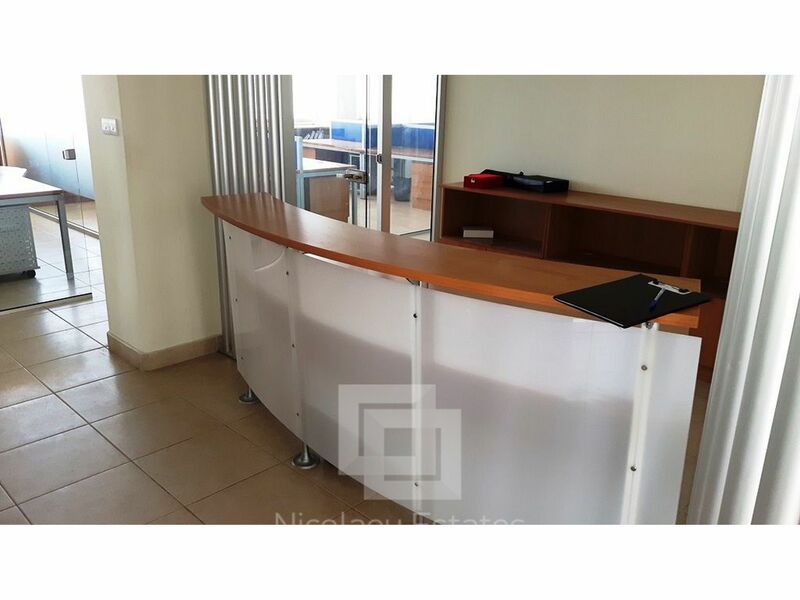 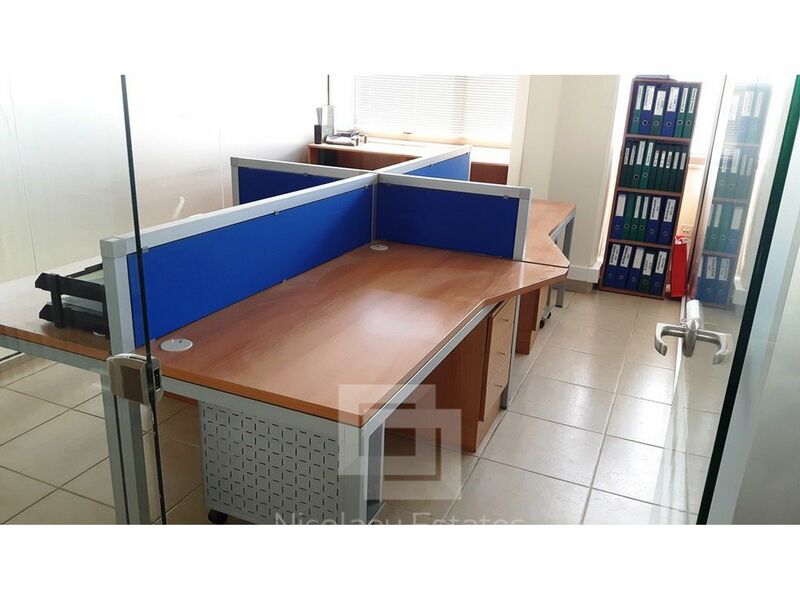 This office in Town Center, Limassol is being offered for rent (long term) at EUR 4.500.